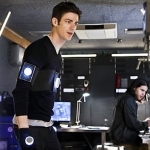 The Flash 2.20 “Rupture” review: Cisco (Carlos Valdes) and Barry fight crime as a hologram. They are against rebuilding the particle accelerator. Wells says he can do it this time. He is quite fervent in his convictions. Barry goes to visit his dad (Henry). He fills him in about Zoom, losing his speed, everything. “Do you really need powers in order to be that person?” Henry (John Wesley Shipp) is coming home for good. Wells looks a bit jealous. Cisco sees his brother while vibing, so he goes and checks up on him. Zoom shows up at the police station with Caitlin, and threatened… pretty much everyone. Wells is flipping out. Luckily (or unluckily), Caitin is able to get a message to the lab about the ambush. Wally and Jessy are all locked up. Not for long. 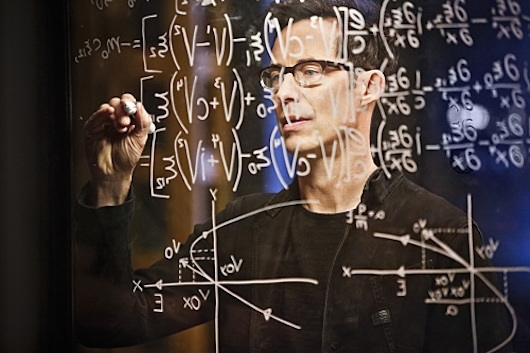 It takes a lot of math to make another Barry Allen. Henry is totally against it. It’s an episode of “My Three Dads.” Barry listens, but is so confused. Too many dads can spoil the science lab. Iris finally talks to him about their future. She lays it all out there, and then he lets her walk away! Oh Barry, again? Cisco cues the lightning – “Expecto Patronum!” Squee! Barry disintegrates in front of everyone. Noooo!!!! But not surprising. Jessy and Wally run in and get hit with the pieces of Barry. I knew that was going to happen too. Hello Wally West and Jesse Quick. Three speedsters for the price of one. Everyone is crying. The last 10 minutes of the episode were holy s*** minutes. The earlier part of the episode was good, but felt more angsty like Arrow. They all had a good reason, but it was more of a downer. Cisco did not get to have as many lines as he usually does. I got a case of the feels when Cisco and his brother made up. I am not fond of this Caitlin hostage situation that is happening. It would work if Jay was truly redeemable, but he’s not. Barry cannot be dead and we won’t pretend he is. DC COMICS’ CHARACTER RUPTURE COMES TO CENTRAL CITY WITH ZOOM — Zoom (guest star Teddy Sears) arrives back on Earth-1 intent on taking over Central City. 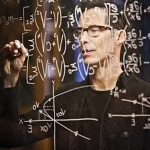 Barry (Grant Gustin) and Wells (Tom Cavanagh) come up with a plan to stop Zoom once and for all but it’s extremely dangerous. 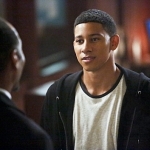 Unsure if he should take the risk, Barry reaches out to both fathers for advice. Henry (guest star John Wesley Shipps) is adamantly opposed to Barry risking his life again but Joe (Jesse L. Martin) thinks he can handle it which puts the two men at odds with each other. Meanwhile, Cisco (Carlos Valdes) is shocked when he vibes the Earth-2 villain Rupture, who happens to be his brother Dante’s (guest star Nicholas Gonzalez) doppelganger. Rupture came to this Earth seeking justice for Reverb’s death. 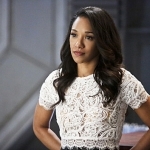 Iris (Candice Patton) decides she’s finally ready to open up to Barry about her feelings for him. Armen V. Kevorkian directed the episode written by Kai Yu Wu & Lauren Certo (#220). Original airdate 5/3/2016. Without risk there is no reward. 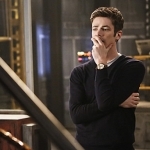 Watch a new episode of The Flash tomorrow at 8/7c!